We’re finally up and running! Or, up and moving maybe I should say. Without further ado, I decided to launch the Etsy shop, Vintage Muses. 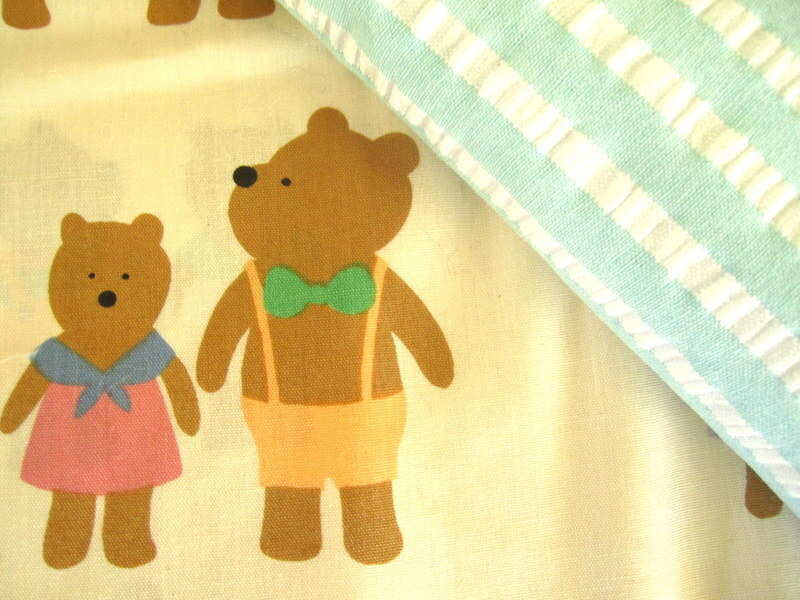 If you head on over to “The Linen Closet” page there is all the info you’ll need, or, just head to http://www.etsy.com/shop/VintageMuses. Before I continue on though, I first have a confession to make: I hate cooking. I do, I am too impatient. I don’t understand why I have to spend so much time creating a meal that, when it’s completed, I will probably eat faster than I should. 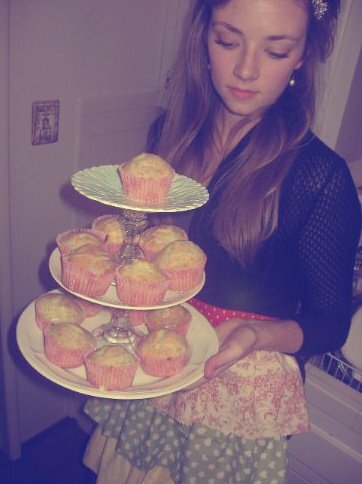 Baking is another story, I love that. But, when I tie one of these little beauties on suddenly I feel so much more capable-even if I am completely not. They’re so much fun I think because they make absolutely no sense. 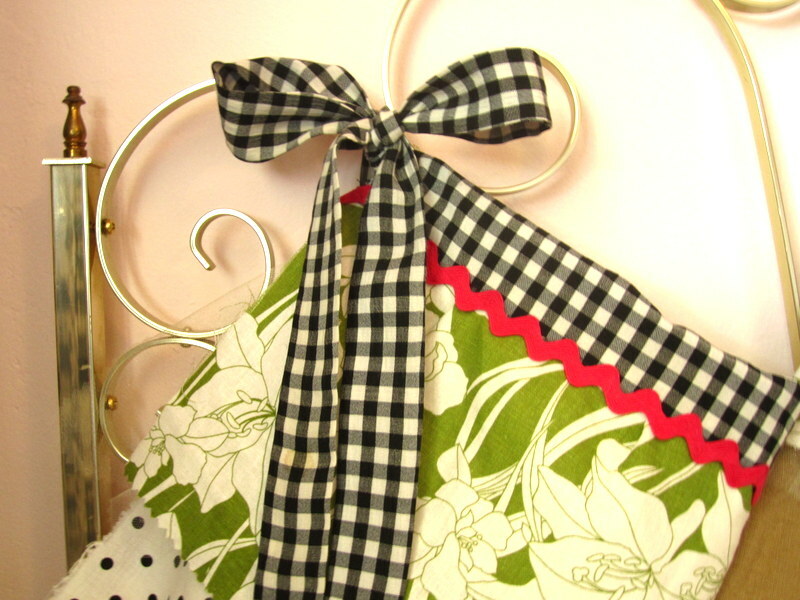 Polka dots with pink floral and black and white gingham? 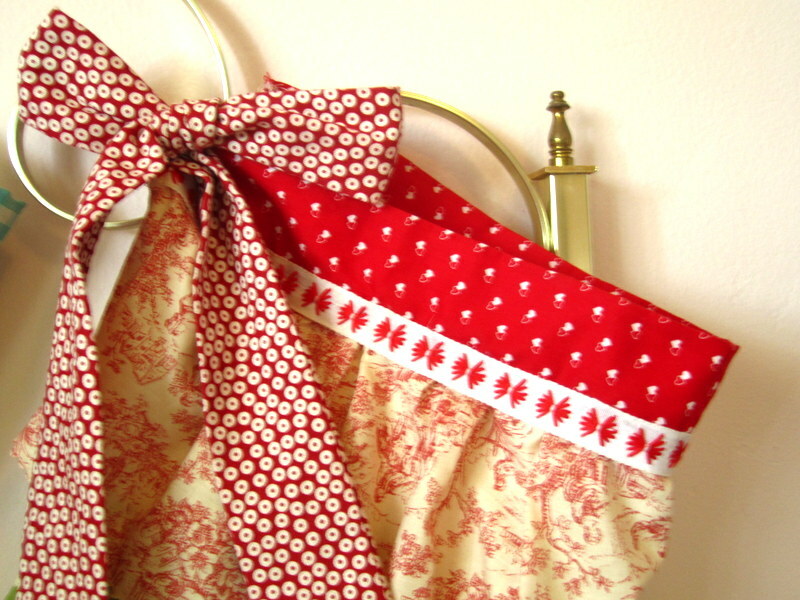 Red toile with yellow daisies and green geometric shapes? Ribbons and tulle and bows? But who wants to be serious when making dinner? I sure don’t, I want to have the most fun I can possibly have doing what I consider a very un-fun duty. Yes, un-fun. 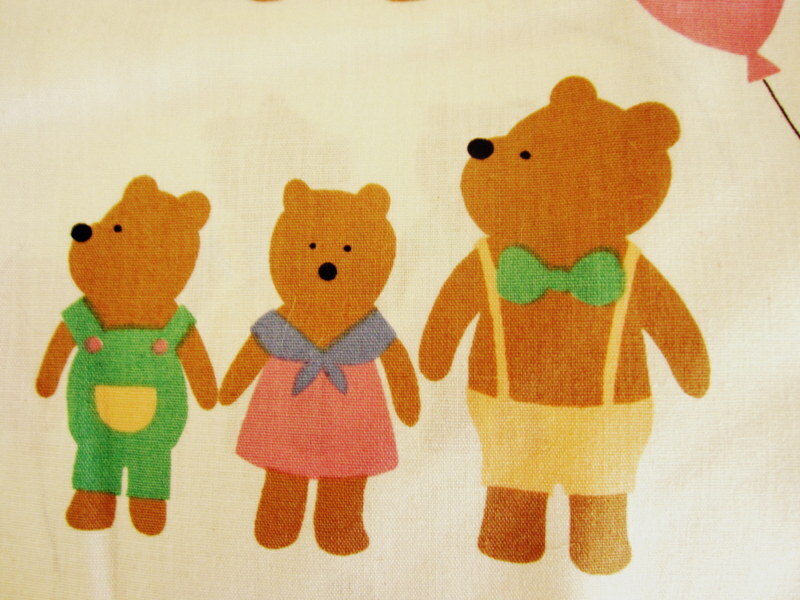 Another quite fabulous addendum to this story is that your apron won’t resemble anyone else’s. You can have your initials embroidered on and can even choose what colors you want integrated or, pick from fabrics I will post in the future for a completely custom, lovely little kitchen friend. I know new mums always complain about having ZERO time for themselves, and feeling beautiful is never a priority anymore. But how fun to be able to wear this? I don’t think it is possible not to smile and feel irresistibly cute. Like I said, the Etsy shop Vintage Muses is up and moving and hopefully will be up and running with more fabric options etc. 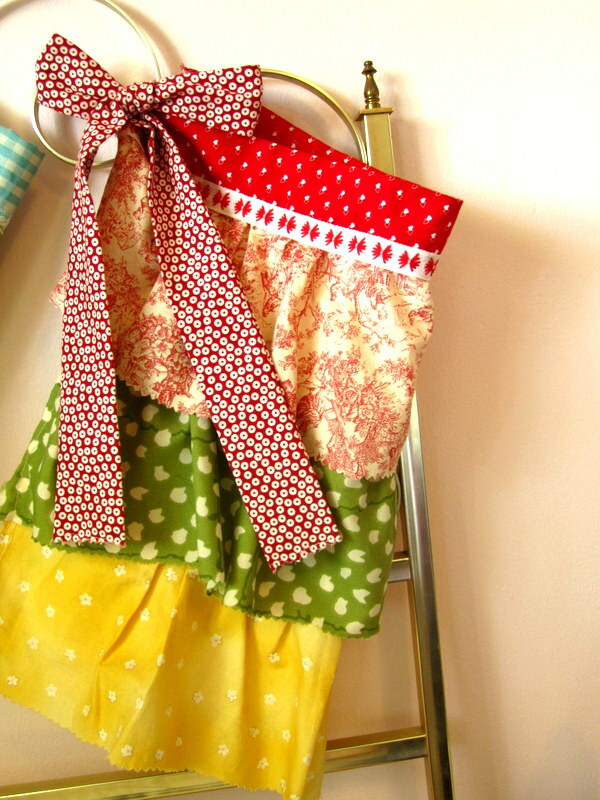 soon, so, keep tabs on things and be thinking of what you want your apron to look like. I’m taking orders now though! I can’t wait to share my fun with all of you. I love your blog so much. Somehow, your blog reaches to me right when I need a little encouragement- whether I’m walking to class or going through the 3-4pm work slump. They’re bright and cheery and always have a good piece of advice.The aprons bring back good memories of our New Year’s Eve party and they are looking even more lovely now! Keep going, this blog is beautiful!